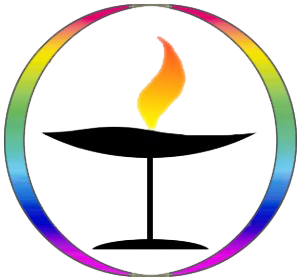 The Unitarian Universalist Fellowship of Elkhart (UUFE) is a small but active liberal faith community located in northern Indiana. Our mission calls us to be a welcoming community that encourages religious freedom, nurtures individual spiritual and ethical growth, celebrates diversity, and promotes a just and sustainable world. UUFE was founded in 1961 and we draw members and visitors from four counties, including the communities of Elkhart, Goshen, Middlebury, Nappanee, Bristol, Mishawaka, South Bend and Edwardsburg, Mich. We earned the designation of Welcoming Congregation and, as such, we are open and affirming of people of all sexual orientations and gender identities. The person seeking this position should have an avid interest in ministering to (i.e. listening and practicing good communication) families and have a good rapport with children and youth. Even if the candidate is not currently familiar with the tenets of the UU faith, they should be able to research our websites and reach out to other professionals to facilitate a great program. The new coordinator will work closely with the RE (religious education) committee and the minister to ensure vital, healthy programs for elementary aged children, youth, teens, and to communicate well with their families. UUFE has always listed our RE program as a primary, foundational aspect of our congregational life and our new coordinator will have the opportunity to shape new ideas while continuing our legacy of tolerance, acceptance, respect for world religions, and character building through faith development. Please review this job description — REC Job Description 091817-2 — to learn more about the position. This is considered a 1/3 time position. Applicants will be asked to go through a face-to-face interview, complete a job application, and are subject to reference & background checks. To apply, please complete the online form below. For questions, please contact Chuck Bower, president-elect, chuck@hawthorneservices.com or 574-361-6166.